I have set up a GoFundMe page to raise money to buy a new electric wheelchair. Click here to visit my GoFundMe page. Please don’t donate unless you can afford to. My wife was in a motorbike accident a few weeks ago and is currently in hospital with broken leg, ankle, wrists, thumb and fingers. I have a mitochondrial disease which causes pain and exhaustion so I rely on my wife to push my wheelchair whenever I go out but she is not going to be able to do that for some time to come. Until now I have resisted friends telling me that I should ask for donations to buy an electric wheelchair however I am going to be very stuck if I don’t have one over the next few months. Hospital visits, shopping etc will be a big problem. I can’t get a wheelchair from the NHS because in my area the NHS does not give wheelchairs to patients unless they cannot walk at all and need a wheelchair to move around at home as well as outside. I did have a rather old and wonky electric wheelchair which I bought second-hand with some help from friends. That chair helped me with local trips but it was too bulky and heavy to fit into my car, so I could not go very far in it. Worse, our flat is not wheelchair accessible so I was forced to keep the wheelchair in a shed outside where the cold damp weather this winter has killed it. Spare parts to fix the controller are no longer available. This is my old, wonky and now dead wheelchair. Reluctantly, then, I am asking for donations to buy a new electric wheelchair. I want to buy a Karma Ergo Traveller because it is lightweight and can come apart to go in my car or be stored inside my flat. It will give me some independence which will be really helpful even after my wife is recovered from her injuries. Thank you for reading, and thanks in advance to all of you who donate. I’ve been thinking for a while about adding a few improvements to an electric wheelchair. Electric wheelchairs are bulky, expensive, run on heavy and dangerous lead acid batteries, and are decidedly behind the times. I want a high-tech wheelchair. I want a hackable wheelchair. In short, what I want is a Raspberry Pi-powered wheelchair. 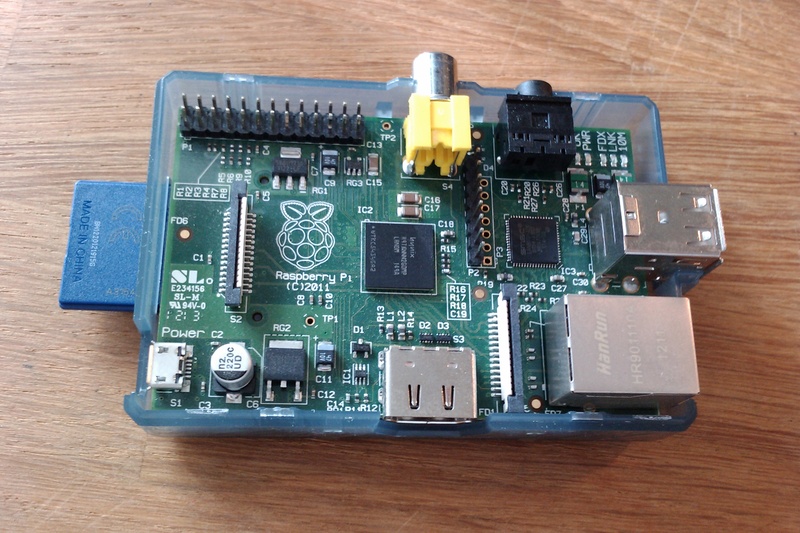 A Raspberry Pi, if you don’t know, is a small, low power, cheap (£20 – £28) computer that runs Linux and is perfect for embedding in projects. I want to add a Raspberry Pi to allow me to add all sorts of functions. Reversing sensors with an audible alarm. Proximity sensors used to actively steer around obstacles. A light sensor that can turn on the headlights. A WiFi or Bluetooth link to a smartphone to report status. Tires that report when they need air, and batteries that report when there is a problem and when they have finished charging or desperately need to be plugged in. Remote control to bring the chair to you. Pre-programmed routes so that the wheelchair can be told with one button on a smartphone to go to the bathroom / kitchen / bedroom. Once there’s a computer in the wheelchair the possibilities are endless. It’s unlikely that a Raspberry Pi could interface with the electronics which control the high currents that the motors need so the standard control unit would have to be swapped for control electronics from the robotics world and the equivalent joystick to replace the standard one. Of course once a computer is in charge the joystick could equally be replaced by voice recognition or an Xbox controller. Yes I know the arms are misaligned. That’s what you get second-hand. Swappable controls that fit in a socket on either arm without endless bolts and cables to move. I’m convinced that this is all possible, and probably not too expensive although any budget at all for this is out of my reach at the moment. There are people out there attempting to improve their wheelchairs, such as the engineer who has written up his attempts at www.wheelchairdriver.com and various attempts based on the Segway. I might just have to make a shopping list and try to find someone willing to fund it. 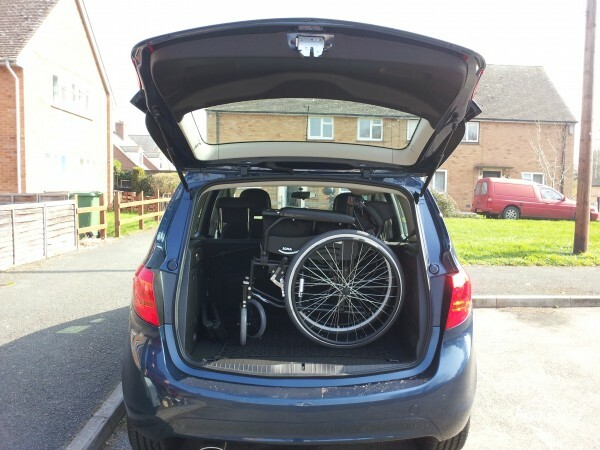 I have to use a wheelchair for most journeys outside of my home and car. 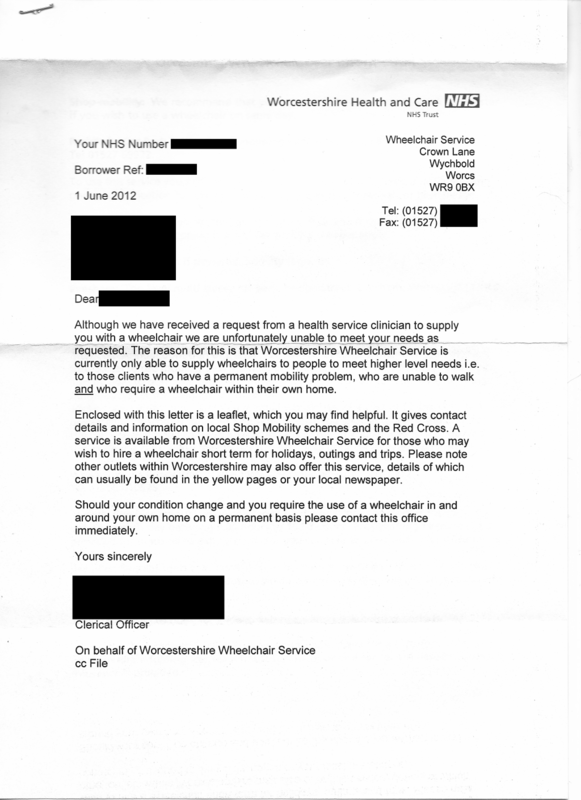 Because I do not need one inside the home I do not qualify for any help at all from Worcestershire Wheelchair Services even though an NHS occupational therapist has agreed that I need it, and I get High Rate Mobility Allowance and a Blue Badge for parking because of my inability to walk. I use my DLA to lease a Motability car and I bought my own manual wheelchair which I can only self-propel about as far as I can walk. I would benefit greatly from an electric wheelchair because at the moment I require someone to push my wheelchair. With an electric wheelchair I would be able to visit places without my wife. My wife intends to go back to work and I won’t be able to go anywhere without her that requires walking more than few metres from my car. Even the medical appointments will be difficult. After all the drama detailed in previous blog posts here, here and here I applied to a local charity that provides grants for people in and around the area including helping with mobility. They aren’t a disability charity and so they don’t have a great understanding of my problems. They seem convinced that because they have purchased mobility scooters for several people with my illness, that I should be able to get buy with a scooter too instead of an expensive electric wheelchair. My correspondence with them has dragged on for months since I first applied. 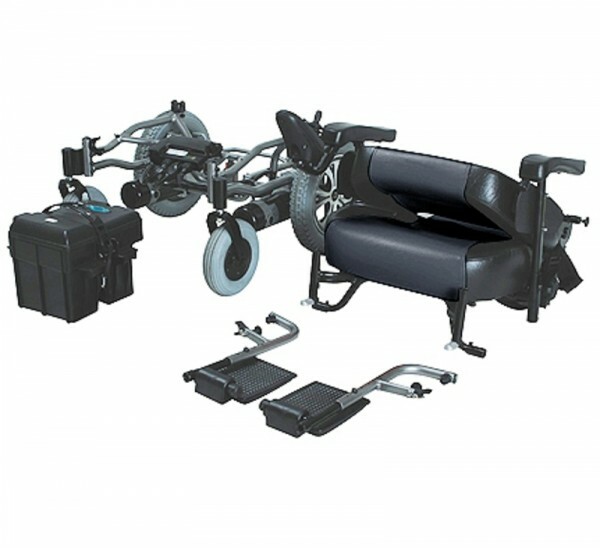 When I first looked at a suitable chair to obtain a quote I asked about a second controller which would enable an attendant to operate the chair if I were too exhausted to. (This can happen after a long day.) The charity administrator immediately panicked on seeing this in the quote and demanded that I get my doctor to write a letter saying that I could safely operate a power wheelchair. This despite the fact that I drive a car! I had the second controller removed from the quote anyway when I realised that it cost about £500 extra but they still insisted. Obtaining that letter took three months, after which I was sent another letter which I detail here. Further to your application for an electric wheelchair, we have now received confirmation from your Doctor that you are suffering from ME and would benefit from a mobility vehicle. 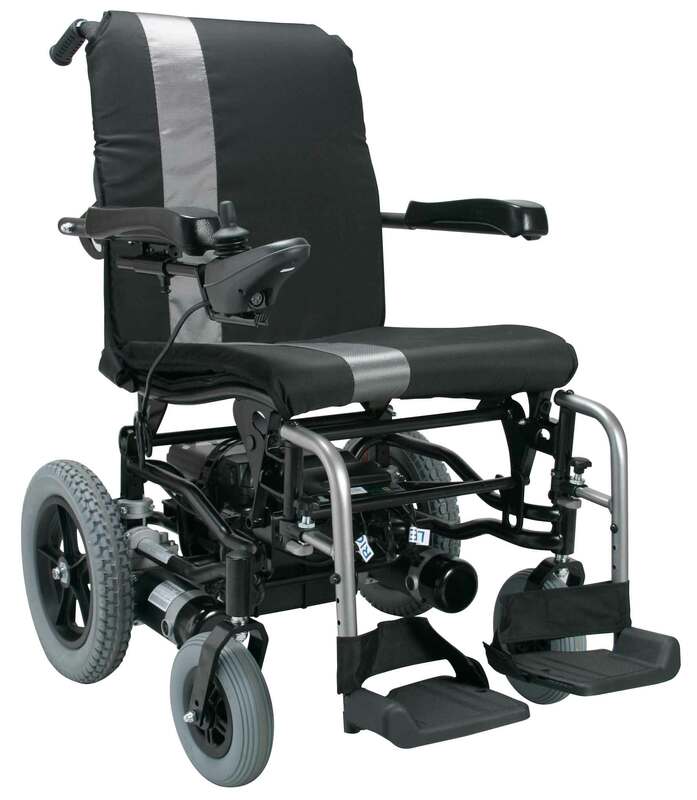 However the electric wheelchair you have requested has been quoted by INDY at £2410.22 [This is the price with 2nd controller] which is greatly above what trustees would normally consider for someone with your health grounds. In similar circumstances they have purchased a Aerolite Scooter in the region of £800 which easily fits into the boot of a car. In order for Trustees to consider your request we would ask that you obtain a report from an independent Occupational Therapist as to why such a specialist chair is necessary for your condition. My size 12 feet do not fit within the footplate of the more affordable smaller scooters and instead sit awkwardly across different levels of the scooter. The seats on all the scooters that I have tried do not give enough support to my back, leading to pain. Stretching my arms out to the handlebars puts pressure on my wrists leading to increased pain, and using the arm rests causes me to slouch forward, hurting my back again. I would have to leave it outside some shops, which is no good as I cannot stand and walk for long enough to queue or browse the shelves for what I need. I cannot take a scooter on a bus. They’re not allowed. A larger scooter would solve part of this problem including footspace and seat height, but would cost more and still hurt my arms and hands. The one I tried was also too heavy for me to lift into my car and possibly too big to fit. 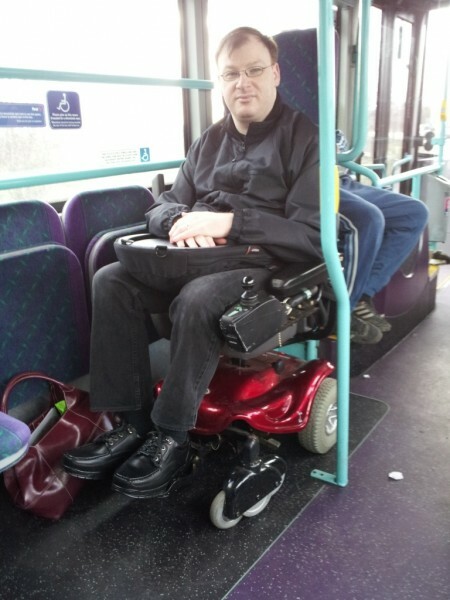 A proper electric wheelchair would have a good seat, proper arm support, a controller suitable for the level of pain in my hands, enough space for my feet, would be allowed in shops and other places, and could go on buses. Since my application I have actually bought a second hand electric wheelchair for £300 but while useful on occasion it is far too bulky to go in my car and the batteries are nearly worn out and will soon require expensive replacements. If this local charity insist they will only pay for a scooter then there really is no point in my getting one. I’ll have to use my current chair until it dies for journeys on public transport and will have to have someone with me to push when I go out in my car. I’ll be writing to the charity with all of my reasons and I will also suggest to them that they purchase a slightly cheaper electric wheelchair, although finding one that is both cheap and reliable will prove tricky. 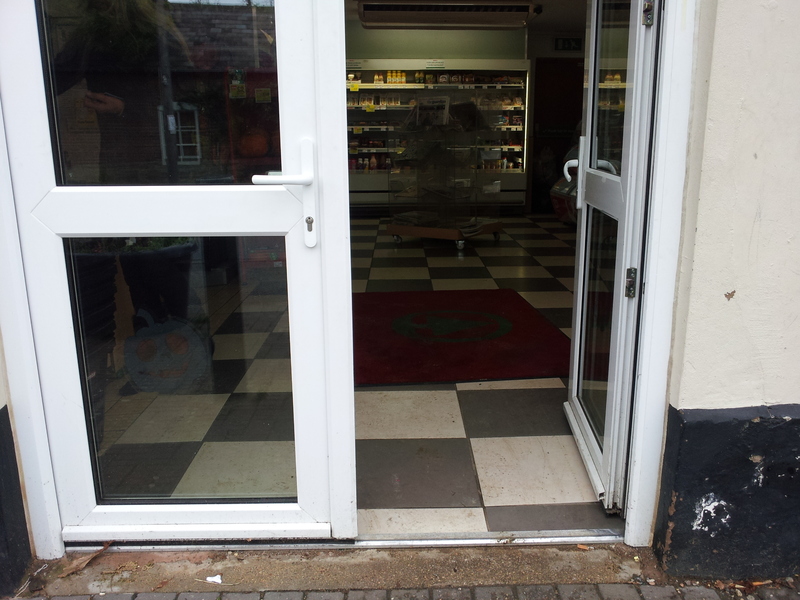 I use a power wheelchair and every time I visit Spar in Badsey I find that half of the double door is locked and I cannot fit through one side. I always have to send someone else in to find a member of staff with a key and usually have to wait several minutes outside while they locate the key – on some occasions they have not been able to find it at all. At other times I have not had anyone with me to send inside. Today my wife went inside to find a member of staff but they were serving a long queue of customers and since I was not prepared to wait outside for five or ten minutes in temperatures of 5°C I went home without doing my shopping. This problem would be easily solved by having both doors unlocked at opening time and by not doing so Spar may be breaking the Disability Discrimination Act. My electric wheelchair broke a couple of weeks ago after going up a too-steep ramp into a train, toppling backwards and then falling forwards fairly hard. That was quite inconvenient, especially when I discovered that the motors and brakes have burnt out and it will cost about a thousand pounds to fix. Since then I have had to fall back on a manual wheelchair, pushed by my wife. I can move my own wheelchair, just about, but it is still painful and exhausting for me. Fortunately I have just got a new car, so I can drive to most places and then use the wheelchair on arrival. Unfortunately, the manual wheelchair that I was given by family doesn’t fold up enough to fit in the back of my car. 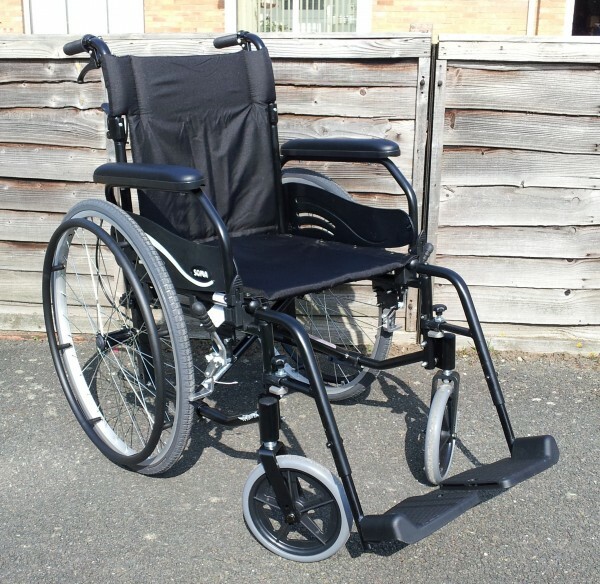 Because a referral to the wheelchair service will quite likely take a few months, (I won’t be a high priority) and because I will probably get an attendant wheelchair rather than a self-propelled one, I bought a new wheelchair yesterday – a shiny new Karma Wren 2 self propel. 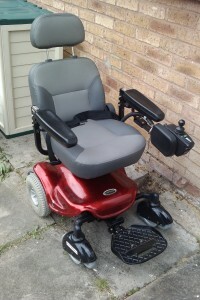 The chair cost me £279 from a local shop called Indy Mobility. I could have found it slightly cheaper online but the staff at Indy Mobility were very helpful and put up with me for a couple of hours while I looked at all the options. They also didn’t charge me for the work done so far on my broken powerchair. I was surprised how much easier the new chair is to self-propel than both my old one (and it is old!) 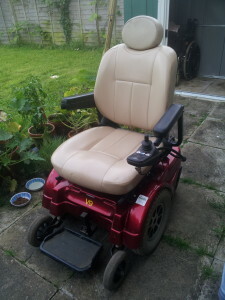 and my dad’s one which I borrowed when my power chair broke down. That is partly because the new chair is made from lightweight aluminium but I think also due to it not being worn out. It is light enough that I can lift it into my car myself as long as I am not too tired at the time. It fits nicely in the boot of my car, as you can see in the picture below. Wheelchairs are one of those extra expenses that disabled people can have which Disability Living Allowance is supposed to help pay for. While chairs are available from the NHS, it is quite common for them to be inadequate or to take a long time to get, even apart from cases like mine where I won’t qualify for a power chair which would help me the most. The Motability scheme which leases cars to disabled people in return for the mobility allowance from their DLA can also lease high-end powerchairs to them but I can’t do that because I already spend my DLA on a Motability car so I have had to buy my wheelchair with a credit card at very high interest. I think there are quite a few people stuck in this situation including Kaliya (@BendyGirl) who is currently trying to raise funds for a powerchair of her own. She really needs one to get around outside – just see her “deathwalk” video if you need convincing. Kaliya could use a powerchair inside as well, except that her flat does not have enough room for one. You can donate to Kaliya’s powerchair fund by sending money with Paypal to wheelchairforkali@carolineengland.co.uk or visit her blog post about it. I have a possibility of getting part of the cost of an powerchair paid for by a local charity – the same one which gave me a small grant when I went to university and gave us food money last year when our benefits were screwed up. They require me to have attempted to get one from the NHS first, and so I must wait until I have been assessed before I can do that. 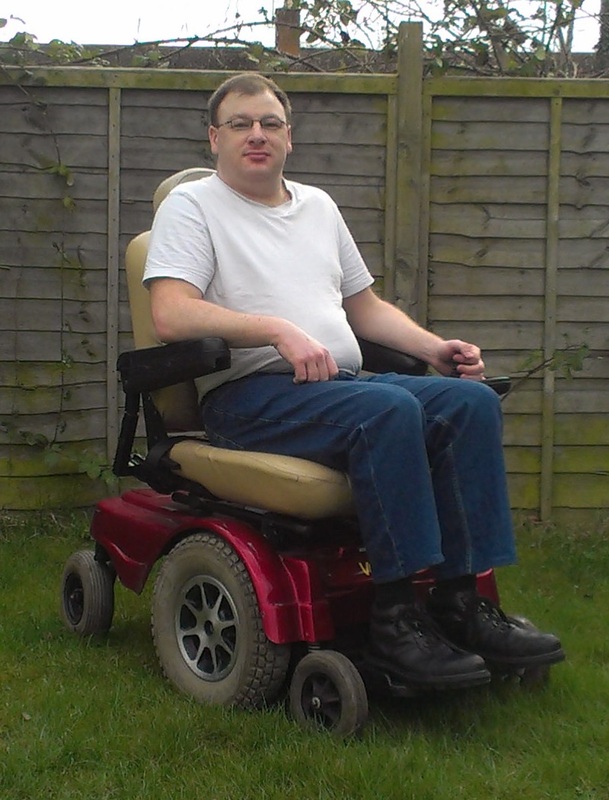 I am hoping to take a voucher towards the cost of a wheelchair rather than a wheelchair itself from the NHS so that I can then put that voucher together with a charity grant if I can get one and buy a powerchair. I plan on getting one that is small and light and can come apart to go in my car – my old one weighed 90kg and even healthy people struggled to lift it. Indy Mobility suggested a Karma Traveller 2 which I think costs about £1,700, although I will have to find out what else is available. For now I will just have to rely on my wife to push me. After publishing my film “A short film about pavements” this morning I have already had people suggest that I should not use a wheelchair on those paths because it is not designed for them, that I should rely on family or my local church to take me to where I need to go, that I simply want the government to spend more money that we haven’t got to fix the problem, and that it is bleeding heart socialist to ask for things to be made accessible for everyone. So what was my point with the video? What do I want? First of all, accessible buses with low floors. This is a reasonable adaption, and in fact a legal requirement by 2015. Unfortunately it takes time to do, and my local bus companies do not think it a priority to implement on the route that goes through my town. Secondly, I would like broken pavements to be repaired and grass, mud and hedges to be kept back from the path. I can put up with a rattly bumpy ride, but where there are holes in the ground that necessitate my 86kg wheelchair being lifted out of after getting stuck, it’s quite reasonable to ask for it to be filled in. Thirdly, I would like dropped kerbs at corners. In three examples in my film there are corners with no dropped kerbs, some quite new. At best this is negligence, possibly incompetence. These ramps should have been built in to start with. They are not a special requirement for wheelchairs, they are also needed for baby buggies, and people that have difficulty walking, and even just skateboards and roller skates. I’m sure there are more examples. Where corners have been built without dropped kerbs, these need to be fixed. It’s not an optional extra. Why do I want all this? If we have no money, why shouldn’t I settle for being driven to the doctor, the pharmacy, the supermarket etc by volunteers from my local church, or by family members or friends? Big Society in action? First of all, there is no guarantee of getting a volunteer. When I make an appointment with the doctor, I can’t check if there will be someone free to take me there a week or a month ahead. I can’t be on the phone to the doctor’s receptionist and the local church at once, arranging a mutually convenient time. And I have no idea if my father will be available to drive me during the working day, a month ahead. Then there is the fact that it should not be necessary! I have a powerchair, there are buses, there is a walking route that goes where I need to go. (And is used by other people.) I should be able to use all these things. I don’t have a car. I am too ill to ride my motorbike. I can’t afford the taxi fare at £17 for a round trip. I can’t walk to the bus stop and then walk around town afterwards. I need to take my wheelchair with me unless I’m not walking anywhere and not standing when I get there. Admittedly, I am going to apply for Disability Living Allowance which will help towards travel costs, but DLA is to be replaced by the much harder to get Personal Independence Payments, and that is going to withdraw support from many people on the basis that disabled people no longer need so much help because everything is accessible now. Everything is NOT accessible now. I don’t want charity. I don’t want embarrassing reliance on other people. I don’t want to have to beg for help, or to feel like I am an inconvenience, or that I am causing problems by dragging my family or friends out of work to take me to places. I should be able to go there myself. I can go there myself. If only the council and the bus company did their jobs. I went on my first long powerchair trip on Friday night. It was a 5 mile round-trip from Badsey to Evesham and back. On reflection, this was never going to be an easy journey. There are two routes that can be taken on foot. Unfortunately due to roadworks, one of those was not an option and so my wife and I were forced to take the other route, along the main road into town. This involved about a mile along a rural road with a 60mph limit, and hedges on both sides. Before leaving I checked through that stretch of road using Google Streetview to make sure that there was a path all of the way along. All seemed OK, so we set off. Here are my thoughts on that journey. My powerchair goes faster than 4mph. I think it probably manages 8mph. Excellent! It doesn’t go as far as it should. The battery light was blinking after about six miles of use, not 24. Maybe a few charge / discharge cycles will fix that. Using a powerchair requires planning to make sure that route and transport are accessible. According to my wife, I operate a powerchair like I play Mario Kart. I’m choosing to take that as a compliment. You can’t operate a powerchair like you play Mario Kart. It likes to stop before making the next move. And some more problematic thoughts. Getting to a junction and finding no dropped kerbs and therefore no way to leave the pavement and cross is frustrating. Having to backtrack to the last dropped kerb is also frustrating. Having no matching dropped kerb on the other side and having to take the chair along the road is dangerous. Curved dropped kerbs that go round the corner are a pain. 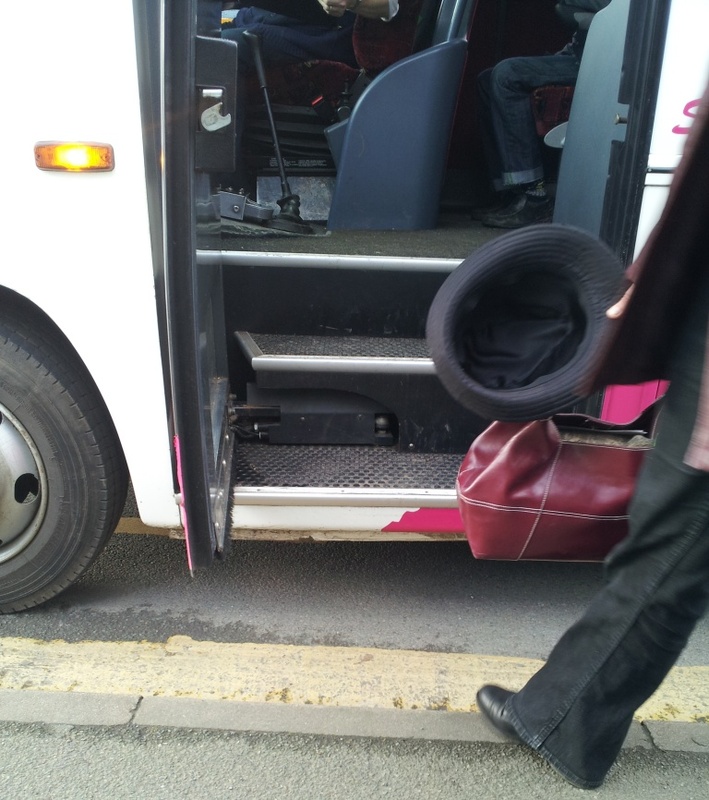 Wheelchairs are supposed to take the kerb at 90 degrees to avoid toppling. Having to turn 45 degrees to do that is irritating, AND the pavement is at odd angles that push the chair to one side. A dropped kerb that crosses the pavement all the way to someone’s driveway makes the chair go down then up again. Having these repeatedly all the way along the street makes the chair go up and down continuously. They can also make the chair swerve into the road unless paying perfect attention and deploying light-speed reflexes. A dropped kerb is supposed to be dropped. That means going down to road level. Not two or three inches above it. When a chair goes over that, it lurches wildly back and forth. When a too-high kerb is combined with a round-the-corner curved dropped kerb that simultaneously goes up a hill on one road and down a hill on the other road, the combined angles plus speed necessary to climb the kerb mean that the chair will topple. Flailing wildly when going over will wrench muscles, twist the back, neck and shoulders, and cause extreme pain and swearing. Finding no way to get from pavement to road to pavement so that you can cross is bloody annoying. Did I already do that one? Well I’m doing it again because it’s BLOODY ANNOYING. Tree roots growing under the path and tearing it up can lift one side of a chair, causing it to tip disturbingly to one side. Cars parked on the pavement deserve to be scratched as I go past. Pavements full of pot holes, cracks, patches and worn away surface are not just a minor irritant, they make the journey a hell full of dragging, rattling, lurching, bumping and worse. A path is supposed to be wide enough to use. Six inches of goat trail with smashed up tarmac surrounded by tall grass and weeds right at the edges on both sides is not acceptable. Grass to within six inches of the road edge is definitely not acceptable. Paths so old that their height varies by several inches NEED FIXING. You can’t leave that. I got stuck on patches of broken pavement so bad that one wheel went in a hole. Not once, but twice. I couldn’t avoid the hole because the grass verge had covered the pavement. I had to negotiate places where the broken, narrow path went through potholes, gravel and old stones at the edge, merged with driveways, with grass covering it at 45 degree angles. I lurched wildly. I nearly went over. And this happened in at least three places. I’m going to stop there. There are more things, but I have complained enough for people to get the idea. OK, so most of the time I won’t be trying to travel from my village to the town, but I should be able to. It should not be a challenge, it should be a nice smooth ride along tarmac or paving slabs. Not a wild lurch along broken, grass-covered ancient pathway. Oh, and I did manage to get to town and back, but not before the shops had closed, rendering my trip to buy cheesecake completely meaningless. I enjoyed a coffee at my sister’s house instead.